Our fall issue delves into the history of community leagues. But if we look ahead into the future of our own league and downtown community, it’s clear there will simply be far more residents living here. DECL is responding to an unprecedented number of new development applications. Many of these proposals are developments that will house hundreds, if not thousands of new residents. Many boosters talk about “20,000 in 2020,” and if these new proposals go ahead, we will be a little behind but not far off from those numbers. Urban planning experts say these are the sort of population numbers necessary for downtown to be sustainable, to encourage walkable retail and to retain offices and workers. The first significant push for new residential housing downtown was in the form of the new Capital City Downtown Plan, in 1997. An update to that plan, in 2010, saw a confirmation that a significant future for our downtown was having people live here. Since that first plan, we saw an approximate doubling of our population, from 6300 in 1997 to about 13,000 people today. Downtown Edmonton has been one of the fastest growing neighbourhoods during that time. Much of proposed development for the future comes from a new confidence in downtown due to recent investment, both public and private. New residential towers combined with public money flowing into parks and streetscaping are spurring results. The most significant ‘catalyst’ project downtown, Rogers Place, is now being augmented by western Canada’s tallest towers. Alex Decoteau Park has given residents a place to meet neighbours and be proud of the place we call home. Some of the new proposed residential towers are pushing westward, into the warehouse area west of 104 Street. These proposals are a direct result of the proposed ‘Central Park’ planned for 106 Street to 107 Street, on vacant land between Jasper Avenue and 102 Avenue, an area at least four times larger than Alex Decoteau Park, which would serve the recreational needs of much of our neighbourhood. The city is actively working with landowners in the area to purchase land, and developers are hedging their bets that this new catalyst will bring new opportunities and life into what is currently mostly gravel parking lots. But this revitalization could stall. It will require Edmonton City Council to continue to invest in our downtown, particularly to make the development of this park and other important catalyst projects like streetscaping a priority in the upcoming fall budget. Continued momentum in both public and private investment downtown requires us all to work together and come to consensus on the type of community we want to see. If you want to learn more about how our downtown is changing, what’s proposed, and share what you’d like to see develop, our development committee we would love to hear from you. Get in touch with us at info@decl.org. 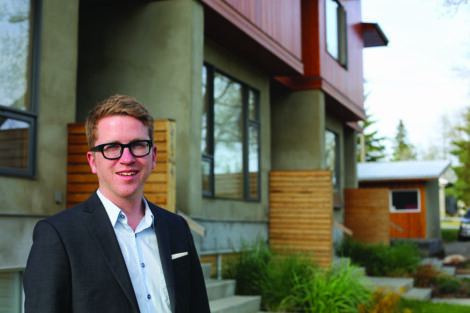 Chris Buyze is president of the Downtown Edmonton Community League.